Stocks edged higher last week, as the S&P 500 rose by 0.05 percent to 2,707.88. 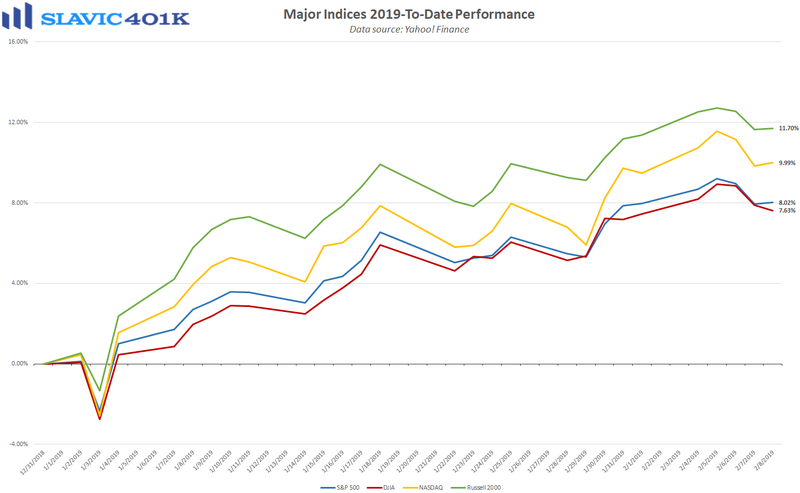 That left the benchmark index up 8.02 percent 2019-to-date, and just 7.60 percent below the all-time closing high hit last September. 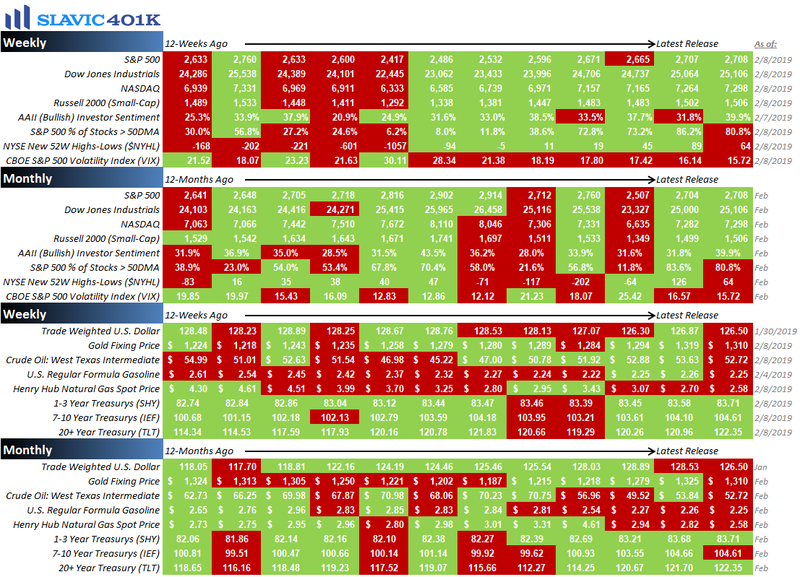 A late-Friday rally helped major indices finish the week in positive territory and continue the recent winning streak. 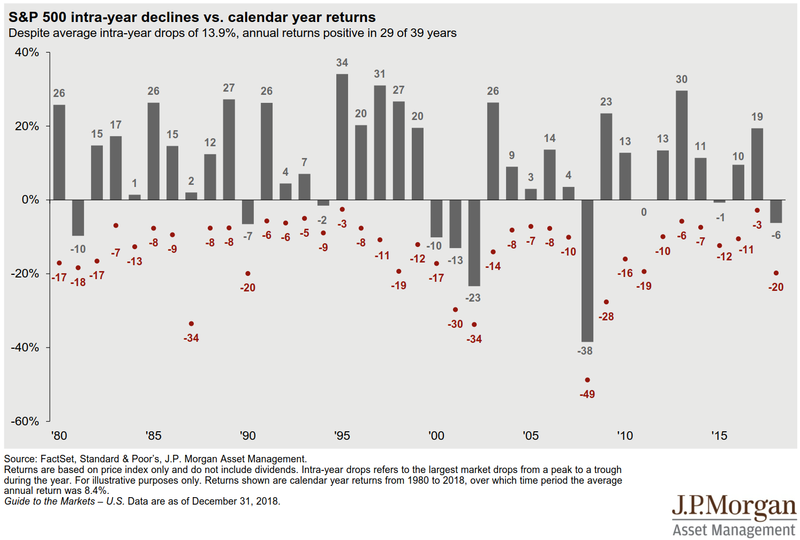 Moreover, the S&P 500 went from having its worst December in roughly a century to its best January since 1987. That V-shaped rebound, even if arguably a bit overdone in the near-term, highlights the resiliency of the market that long-term investors are able to benefit the most from. Similarly, updated EBRI data showed that the average 401(k) account balance for younger (25-34), less-tenured (1-4 years) workers jumped by 7.5 percent last month, a significant turnaround from December’s 4.9 percent decline. 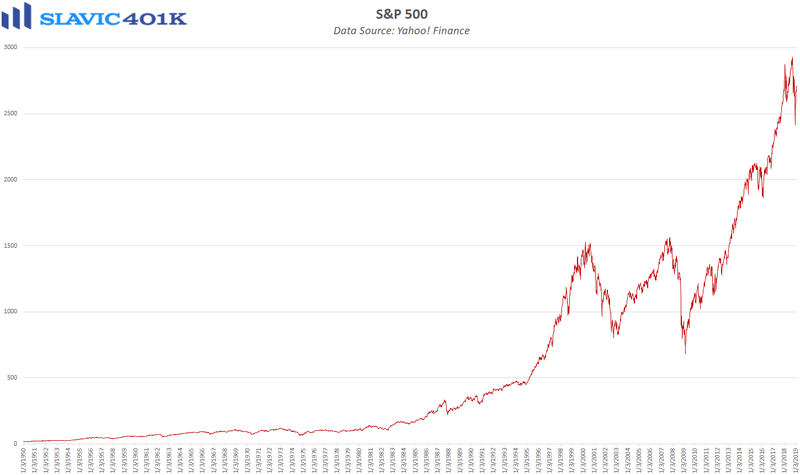 The power of 401(k) plans, though, is better observed over a longer time horizon that allows a combination of routine savings and the resiliency of the market to offset periods of elevated volatility and maximize compound growth. Since the end of 2016, for instance, the average 401(k) account balance for younger, less-tenured workers has surged by 102 percent, while the S&P 500 has gained just 21 percent (through the end of January 2019). Older workers (55-64) with at least five years of tenure saw their 401(k) balances rise by an average of “only” 31 percent during this same period since these individuals tend to have much larger accounts that are less sensitive to both contributions and market fluctuations. Altogether, these substantial gains should provide further evidence of how effective consistent participation in a tax-advantaged savings vehicle can be when trying to amass a large retirement nest egg. Additional assistance is available through the use of dollar-cost averaging and regularly consulting with a professional financial advisor. As always, we are here to help with any questions you may have. To recap a few of the things we learned about the economy last week, the positives included that the 30-year mortgage rate slid to a 10-month low, the number of Americans making first-time claims for unemployment benefits retreated, and the nation’s trade deficit narrowed (although due more to a pullback in imports than strength in exports). 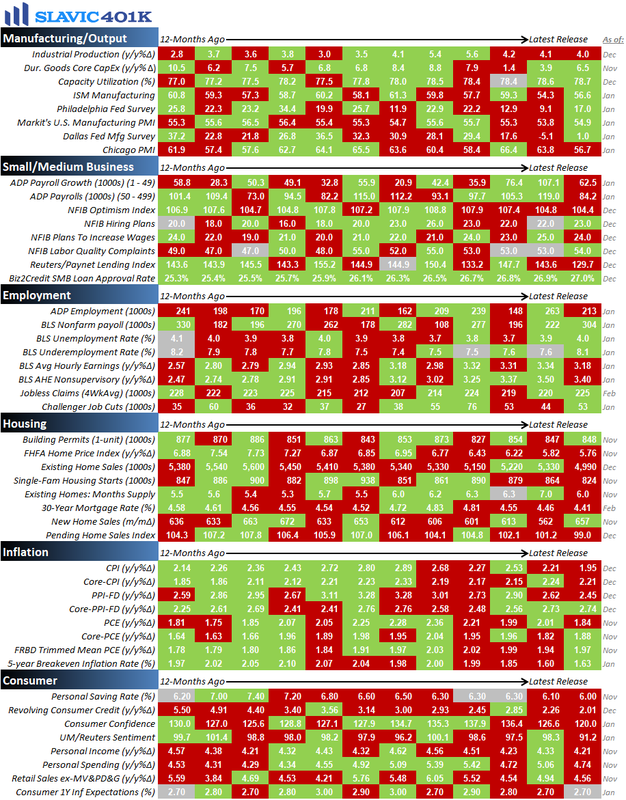 As for the negatives, home purchase applications fell, factory orders unexpectedly declined, consumer credit growth continued to slow, small business borrowing fell to a 15-month low, and activity in the U.S. services sector moderated. This week the pace of economic data picks up slightly, with a few important reports on factory output, small business, consumers, and inflation scheduled to be released. With the government now reopen, some of the previously delayed economic reports may also start to be released.